Globally Harmonised System (GHS) for classification and labelling of chemicals was introduced into Australian legislation in the model Workplace Health and Safety Act 2011 and Regulation 2011 under a five year transition period due to end 31 December 2016. Safe Work Australia has subsequently reviewed the ongoing legislative requirements once the transition period has ended and has proposed a new position that varies the labelling requirements for those persons conducting a business or undertaking who are end users of hazardous chemicals. Safe Work Australia (SWA) is proposing to introduce amendments to the model WHS Regulation to clarify this position which will affirm that manufacturers and suppliers, and not the end user, will be responsible for GHS labelling. 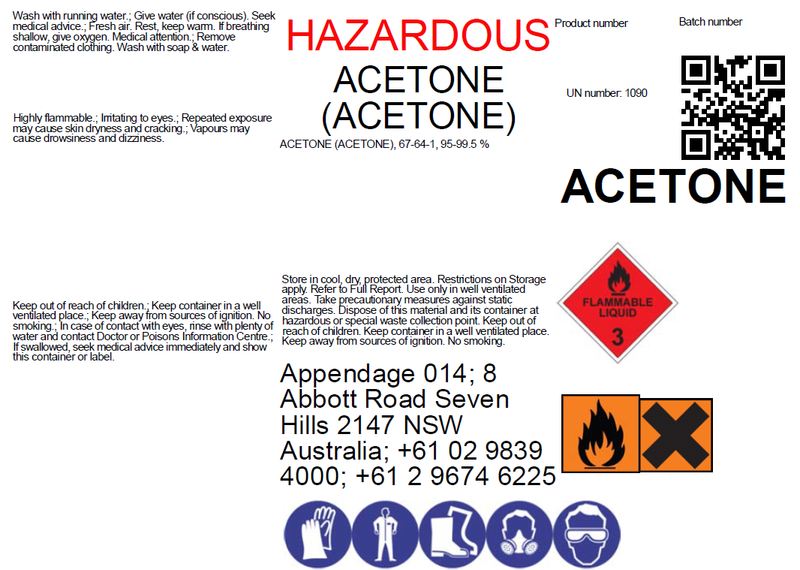 It has been confirmed by Safe Work Australia that those persons conducting a business or undertaking considered to be end users of hazardous chemicals, such as The University of New England, will not be required to relabel or amend labels on existing stock chemicals to reflect GHS requirements provided they are compliant with current labelling requirements. Please see examples below of complaint labelling both pre and post 1 January 2017. Those chemicals which are currently not compliant with existing legislative requirements will need to be labelled in accordance with GHS requirements prior to 1 January 2017. Please note, the changes relate to persons conducting a business or undertaking who are end users of hazardous chemicals only. Suppliers and manufacturers of hazardous chemicals will still need to comply with GHS labelling requirements from 1 January 2017. As suppliers and manufactures are still required to label all chemicals in accordance with GHS after 31 December 2016 it is likely most UNE areas will soon stock a mixture of chemicals labelled under both systems if they don’t already do so. Laboratory managers and supervisors will need to ensure all staff and students are familiar with both labelling systems including pictograms, safety and risk phrases, hazard statements, signal words etc. All training delivered including inductions will need to ensure familiarity with both labelling systems until such time as all chemicals in stock are only labelled with GHS compliant labels. Alternatively, existing chemical stock can still be relabelled, or have labels amended, to reflect the incoming GHS requirements and avoid the need for continued training in both systems. Please note all Safety Data Sheets (SDS) generated after 1 January 2017 must be GHS compliant and therefore the contents and wording may differ to non GHS chemical labels. A label may include the product identifier, dangerous goods pictogram and risk and safety phrases (in English). 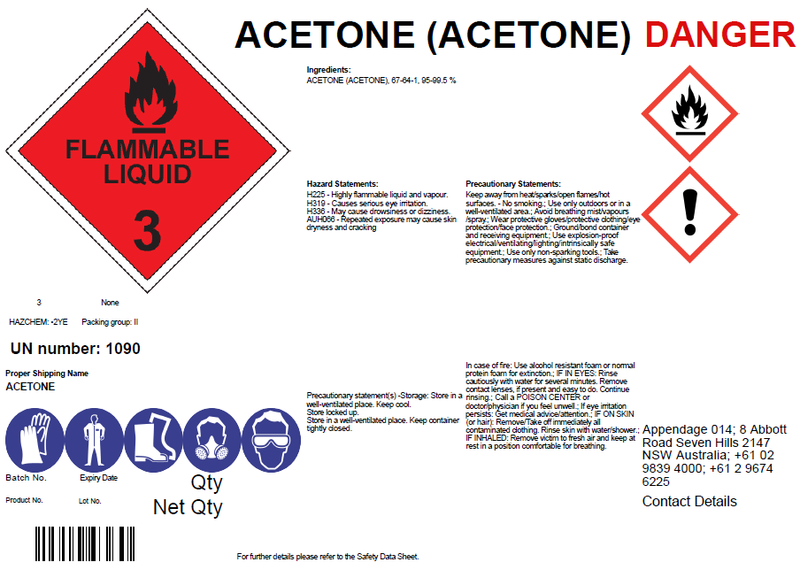 As a minimum the label must include the product identifier and risk and safety phrases for decanted substances. Chemicals purchased or generated after 1 January 2017 must be labelled in accordance with GHS requirements and may include the product identifier, GHS hazard pictogram, signal word and hazard and precautionary statements. As a minimum the label must include the product identifier and hazard pictogram or hazard statement. UNE Work Health and Safety Team: whs@une.edu.au or 6773 5763.